Everyone has dreamed of being able to get rid of their brother or sister at one time or another - but for Jonny, the dream is about to become a reality with SiblingSwap.com! What could be better than someone awesome to replace Ted, Jonny's obnoxious older brother. But finding the perfect brother isn't easy, as Jonny discovers when Sibling Swap sends him a line of increasingly bizarre replacements: first a merboy, then a brother raised by meerkats, and then the ghost of Henry the Eighth! What's coming next?! Suddenly old Ted isn't looking so bad. But can Jonny ever get him back? This is another brilliant book published in January 2018 by Bloomsbury Kids. 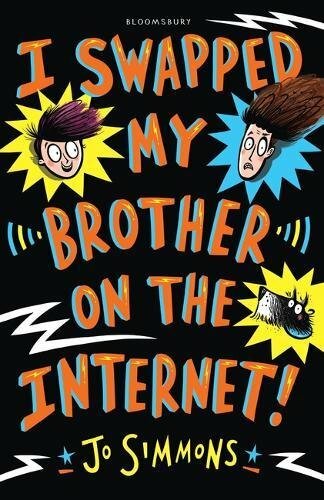 I Swapped My Brother On The Internet by Jo Simmons is just the type of book you need to kick off the New Year. Christmas is over, winter is kicking in and you've gone back to school - do we have to? These are the cries that can be heard. Yes, you do as your parents want some peace and quiet. Therefore, what you need is a cracking good read that will make you laugh your holey, odd socks off regardless of age or sense of humour. 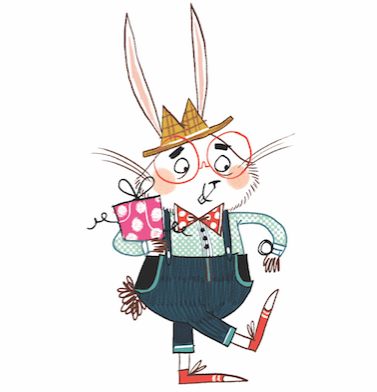 This is the book for you (and your holey socks!) Oh, I'm sorry, I hear you got new socks for Christmas, what was I thinking....? From the start of the book, you will start to see the input from Nathan Reed the illustrator. The drawings are fun and the typeface changes in places to keep the reader engaged in the story. The book cover is strong, bold, bright and eye-catching. With such a combination it should definitely pull the readers in for a closer look. Do book covers make a difference when choosing a book? You will be taken on a bizarre journey where everything goes wrong in the most spectacular way. It's a comical story written really well and told through a wild imagination. The plot is brilliant and transports the reader on a carpet of laughter and humour that is both engaging and easy to read. The book takes a close look at the relationship between brothers and what it's like to have a brother. The concept is a brilliant one which the middle-grade audience will relate to and love. The reality side of the book depicts a typical family and school life background. The subplot heads the reader into the unknown and will keep you guessing until the very end of the book. The characters grow with the story and play a fantastic part. At the end of the book, you may FIND a surprising twist that really makes for a satisfactory conclusion. This is a brilliantly fun and bizarre read that will wash the New Year blues away with a squeak or two. Would you dare swap your BROTHER?